Strategic for Test. Strategic for Operations. 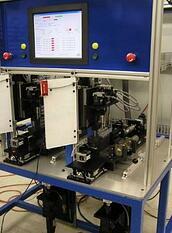 We specialize in full turnkey automated test systems and software solutions that help customers rapidly launch test. 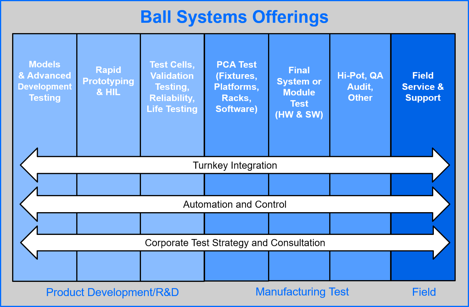 Ball Systems is a leading provider of comprehensive, high-quality, and timely test solutions to customers worldwide. Our teams have designed, integrated and installed systems for Fortune 1000 companies in Europe, Asia, South America, North America and Central America. We be sure to address our customers full product design and product manufacturing lifecycle by creating and implementing test strategies and test solutions to assist our customers in meeting their most complex automated testing requirements. When it comes to test strategy, we provide our customers with cross-enterprise analysis and consultation regarding the use and reuse of common tools and platforms, optimizing test coverage, and improving resource utilization and cost efficiencies. 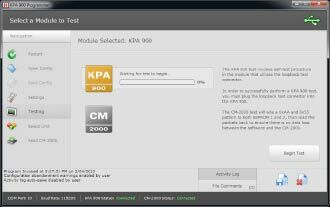 This practice translates into reduced test time and delivery as well as cost, while also maximizing test coverage. To ensure smooth test system development and deployment, each customer interaction is planned, supervised, and managed by a dedicated project manager who represents a single point of contact and coordinates all facets of the project. Ball Systems’ project management methodology helps guarantee consistent planning, execution, and reporting, for on-time delivery within budget for each project. Ball Systems backs its test systems with full document creation, operation and maintenance training, along with unrivaled support, including on-site installation and service as needed. 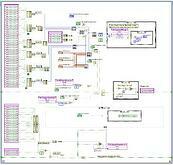 Complete software modeling and rapid prototyping of product designs. This speeds development and increases confidence of product functionality before investing in hardware fabrication and/or large-scale manufacturing. 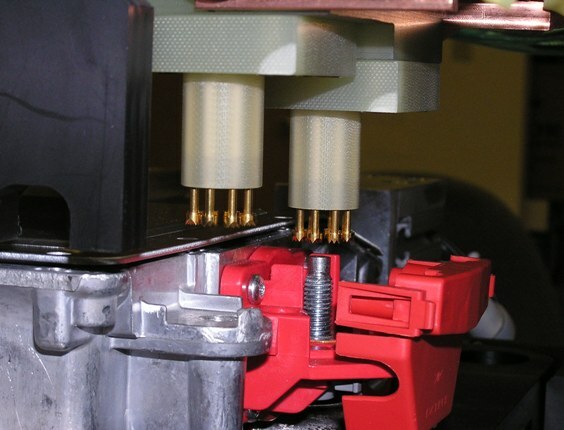 Design validation modeling, such as HIL (Hardware-in-the-loop), and validation test systems (test stands, test cells, or other automated test features), for confirmation of final product designs prior to roll-out to manufacturing. 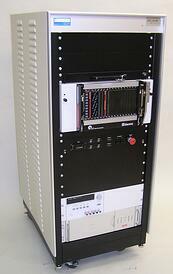 Includes high bandwidth data acquisition, logging, SPC monitoring and complex data analysis. 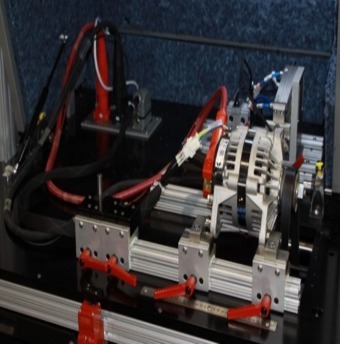 Automated test systems and automated test equipment (ATE) for fast and reliable high-volume manufacturing test solutions. Associated software is developed to capture data and integrate the analysis with existing manufacturing data collection and line control systems. Manufacturing engineering and industrial engineering expertise and principles are applied to ensure efficient product flow and resource utilization. Retain or improve the health of your manufacturing production processes through automated test systems and automated test software. 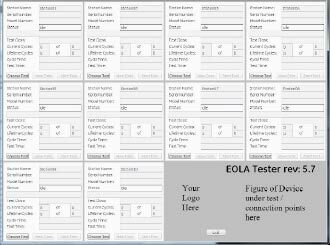 Designed with your organization’s and industry standard specifications for establishing effective control, along with full analysis of test escapes. Portable tools and supporting software can be developed to assist field technicians and engineers with failure analysis and assessment. 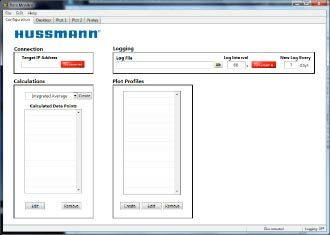 Provision for repair depot defect tracking, analysis, and reporting, can be built-in or added-on for complete test system customization and field support. 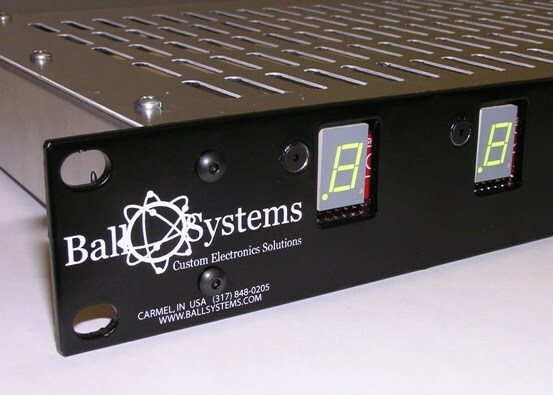 As a Gold NI Alliance Partner, Ball Systems uses proven NI hardware and software to deliver custom, reliable test solutions on flexible platforms. 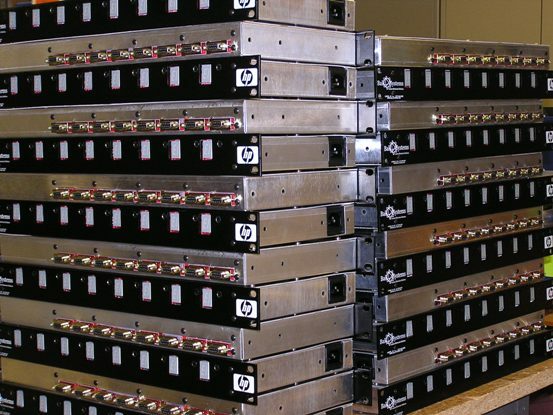 We combine electrical, mechanical, and software expertise with proven platforms like NI PXI, sbRIO, cRIO, and LabVIEW to deliver both custom test solutions and build-to-print systems that meet your manufacturing and validation test needs. Contact us today to let us help you solve your comprehensive test systems. 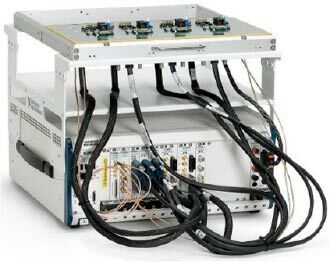 Custom modular designed signal routing and management box for NI PXI aerospace test system. Custom designed portable test box to emulate factory test in self-contained platform that includes custom firmware, FPGA, etc. 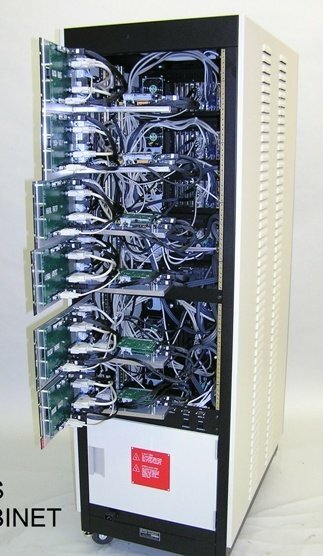 Custom designed NI PXI test console, including custom backplane, card cage, and custom test cards. 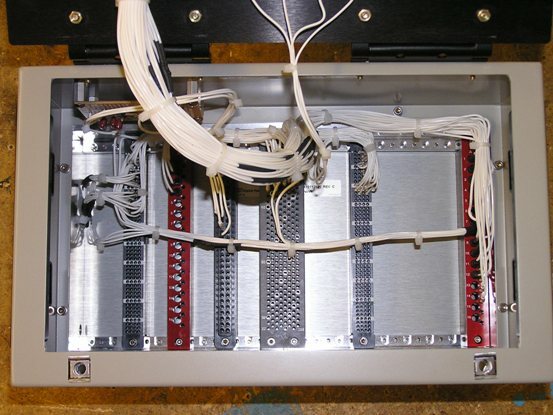 Custom wired Virginia Panel (VPC) Interchangable Test Adapter (ITA), this project is custom-designed and wired to provide test interconnect. 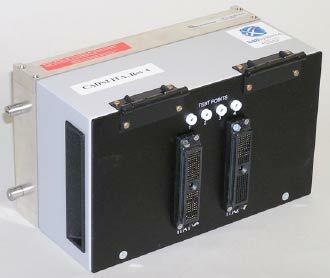 Custom designed programming station to provide simultaneous EEPROM in-line programming in high-speed line. 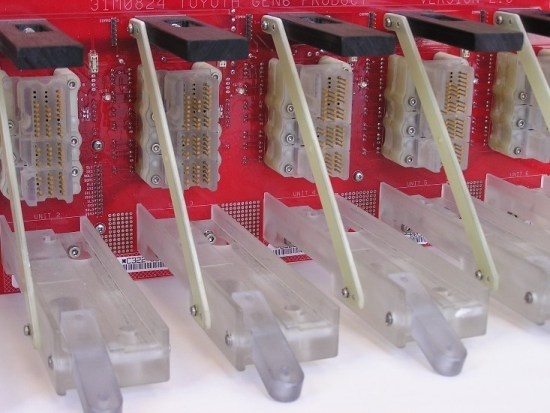 Custom designed test circuitry and low-volume production of test cards. 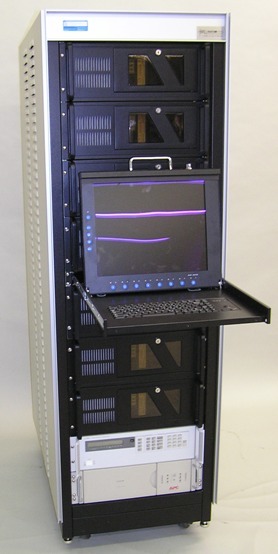 Custom designed PXI Test Console, including NI Chassis and VPC Interconnect. Test control boxes for major computer OEM server test environment with custom board design and production. 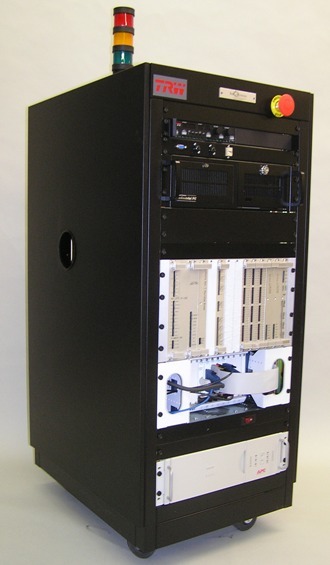 Design and production of high-volume PCAs used in server test environment. 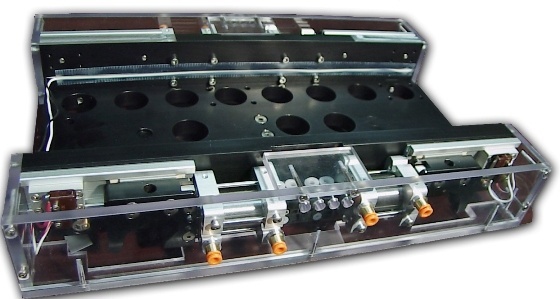 Pneumatically actuated, custom designed probe block for testing high-current engine control module for hybrid technology vehicle. EEPROM verification fixture, including custom mechanical and electrical design and automation. 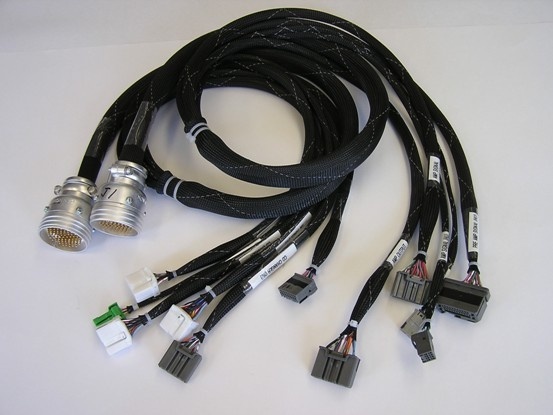 Custom designed test equipment cable harness, including VPC iCon series quick disconnect and product connectors. Custom cable harness design and build. Custom dishwasher end-of-line audit system. 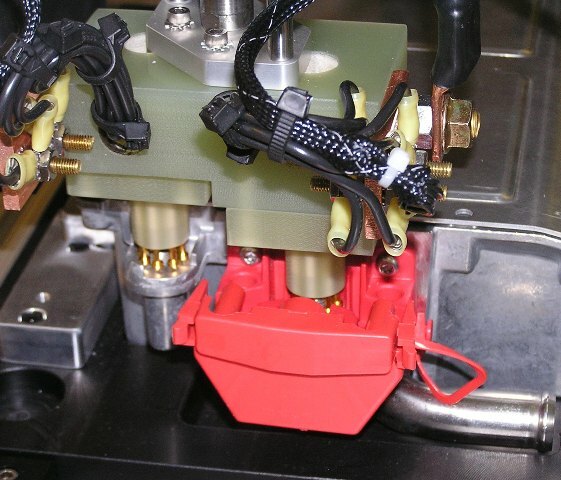 Custom probe blocks and interface circuitry for burn-in cart fixtures. 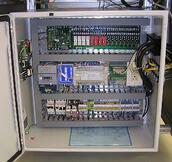 Automation system control panel and enclosure. 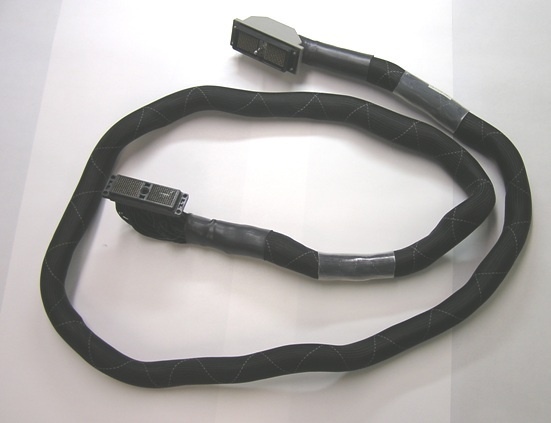 Custom test cable harness for portable automotive audio system tester. 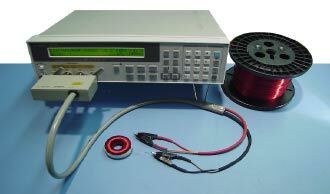 Portable suitcase tester for automotive audio systems that is designed to emulate production functional test environment. 256-pin custom test cable harness. 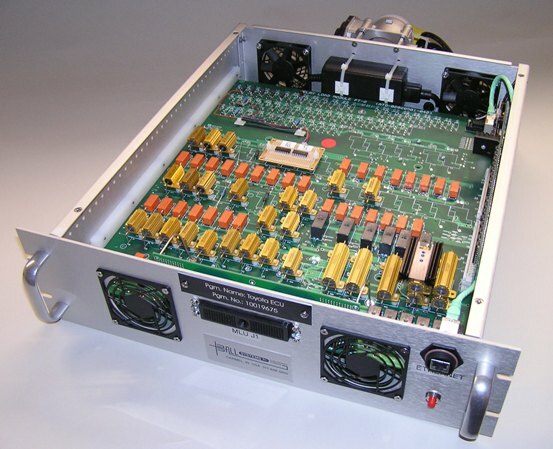 1U 19-inch power cycling box. 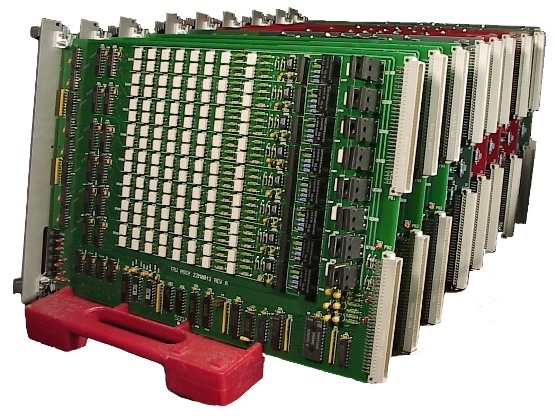 8-bay universal programming platform for EEPROM programming and verification with custom PCAs and integrated custom software. 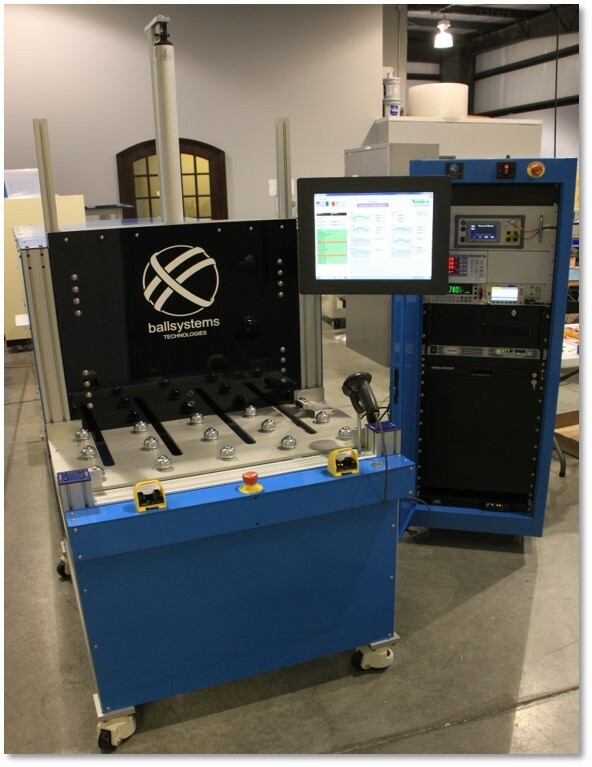 Custom test station for hybrid technology engine control modules that meets high voltage, high power, and automation requirements. Pneumatically controlled conditioning nest for engine control module that is custom mechanical, electrical, and firmware design. 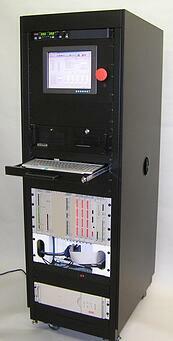 Custom designed mechanical test stand for hydraulic door closer with a custom software interface with PLC control. 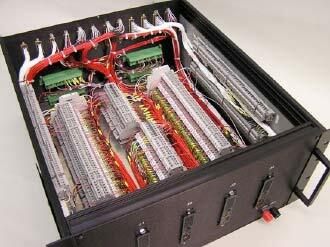 19” rack-mountable programmable custom load box. 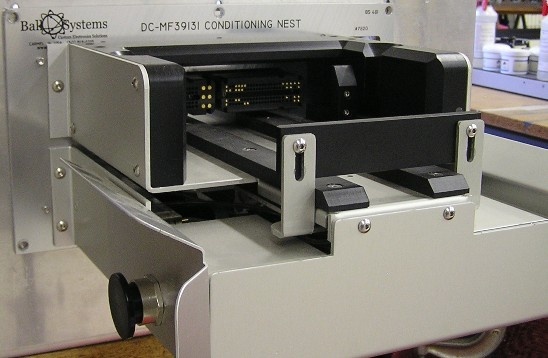 Test cabinet houses 32 “conditioning nests” in cell manufacturing environment. 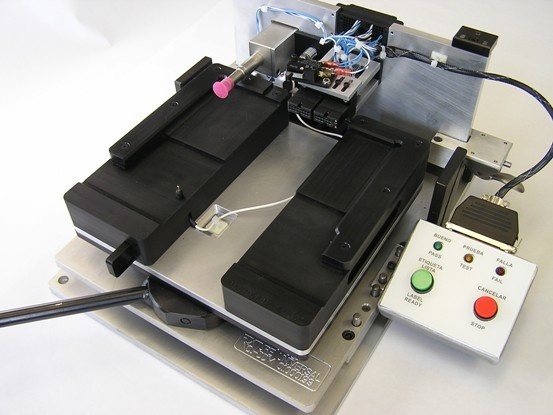 Custom designed engine module tester interface, including custom probe interface, and ergonomic mechanical actuation. 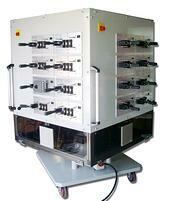 Custom designed application to provide fixture automation. Handheld, portable proprietary communications bus test system. Toroidal inductors designed to application, and manufactured in-house. HIL Fuel Injector Measurement System for ECU Tester. 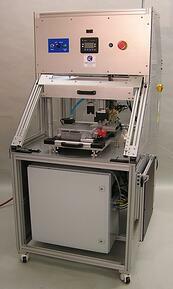 Manufacturing End-Of-Line Gear-Motor Performance Tester.